Type II field coil drivers’ magnetic circuit use Permendur for the entirety of the top plate and pole piece, in combination with a pure iron yoke. Type I field coil drivers’ magnetic circuits use a patented square wire coil for 99.9% packing efficiency. 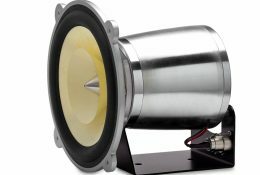 This results in a more efficient, powerful, and cooler-running motor. The NF5ex is a tremendous value, achieving excellent results with its round wire exciter coil and spherical S10 iron yoke. 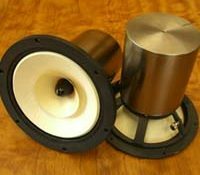 Each “Monster Alnico” motor uses a massive Alnico 5-7 magnet designed to realize ultimate quality in a permanent magnet speaker. 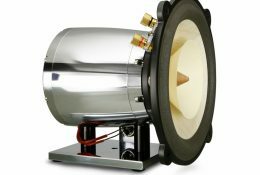 To the best of our knowledge, these are the largest magnetic circuits ever made for full-range drivers of their respective diameters. Feastrex’s original patent-pending Naturflux magnetic circuit is an immediately obvious innovation in magnetic circuit technology and represents an incredible value. Not only do Naturflux drivers achieve excellent gap flux density, that flux is extremely stable and able to be put to optimum use. 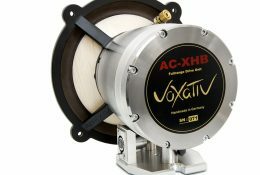 The AC-XHB is a fieldcoil driver with added Neodymium magnet, a hybrid system. 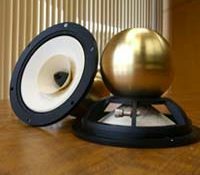 Voxativ fieldcoil technology combined with a cone made from real wood. In search of the rediscovery of natural sound, Voxativ has gone one step further. 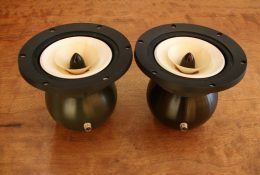 With respect to the old Voigt, Jensen and Klangfilm drivers, this type of transducer is now revised using a completely new fieldcoil technology.